Hello friends! Ah, spring time – the busiest season of all. And so it was this month that most of the plant writers were otherwise preoccupied with their plant obsessions! May’s Berry Go Round is a bit slim, but I hope you enjoy these articles on important backyard garden plants/considerations. You can visit the main Berry Go Round here site for more information about carnivals and becoming a carnival host. Benjamin Vogt inspired me to start thinking about important backyard plants and practices with this quote: “I feel that my backyard habitat is critically important (in the face of such large-scale environmental degradation).” And it’s true: each of us with any amount of outdoor space, be it a patio or a thousand acres, has the opportunity to support life: plant life, insect life, possibly even animal life and full microhabitat life. 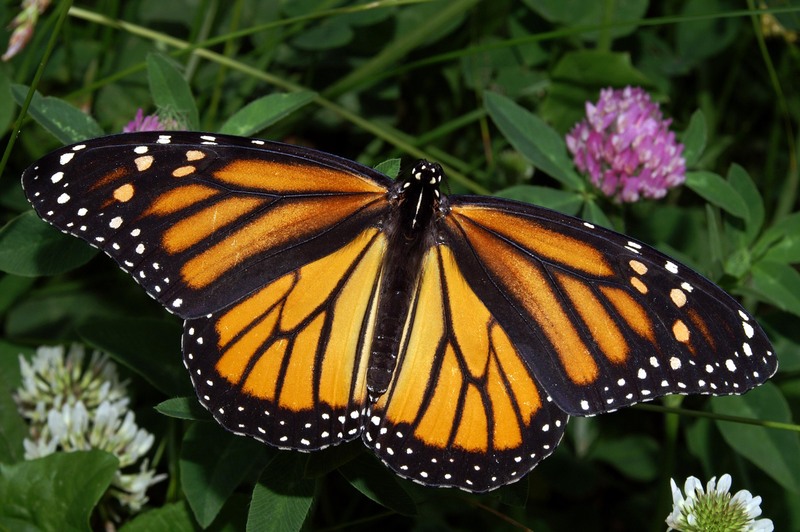 You can read the article here at the Native Plants & Wildlife Gardens blog. New Under the Sun has a particular preference for a prickly perennial known as Yellow Thistle. Emma the Gardener wrote about a popular permaculture plant: comfrey! Check out a gorgeous, rare species on Gravity’s Rainbow blog and learn how to help protect its specialized habitat. If you’re interested in learning more, the first thing you can do is find out how to support native plants in your habitat. Native plants support pollinating insects, which in turn support native birds and mammals. Conserve water by getting rid of needless lawn space and plants that aren’t fit for your climate, particularly if you live in a dry one. Most of all, get into your green space and connect – deeply and fully – to nature and the great circle of life we’re all a part of! :) Thanks for joining me. Watching videos of time-lapse plants has some strange, magical effect on me. We take the miracle of plant life for granted because it moves at such a slower pace than we’re used to. Maybe that’s why time-lapse is so cool – it speeds up the life of a plant so we can recognize it on our own terms. At any rate, I wanted to share some of my favorite vids with you to celebrate spring, spring, the coming of spring! As a very cool extra, there’s a vid tucked in there of a pumpkin – from seed to scale, which, at the end, will blow your mind. Turn up your speakers and watch them dance. Tell us which one you liked best in the comments! 10 points if you can catch the slug in this one! 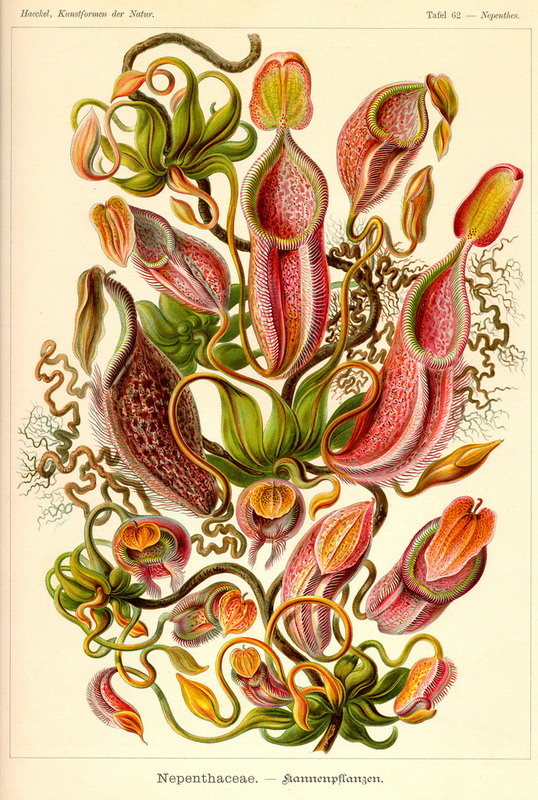 Nepenthes (Pitcher Plants) by Ernst Haeckel in Kunstformen der Natur. I’m going to be perfectly honest with you here: I thought this picture was 100% Photoshopped. Turns out, it’s not. Turns out, it’s really a rare, heritage corn, carefully propagated by a man whose family survived the Dust Bowl without moving. Turns out that it has one seriously beautiful and amazing story, going back to the roots of our country, where indigenous America met European America. Check it out at Mother Earth News or click the photo! The cool people over at Bird and Moon have produced a super-cool quiz on identifying poison ivy. How reliably can you identify this rash-giving plant? I got a 46/55, post your results in the comments! Click the image to go to the quiz! April showers bring… wait, no, not in the desert. Hello everyone! I’ve been away a bit (schooling and applying for a program in zoology), but I’m back, and I have some flower photos for you to gaze upon today to rest your weary mind. It’s May Day, the first of May and harbinger of spring (and therefore.. SUMMER!). While folks at my alma mater are running around naked, plants in the lower plains of the sagebrush steppe of Central Oregon to blossom. It’s still cold as all get-out some nights (the peonies are drooping so sadly this morning), but we have that nice blazing sun during the day. Enjoy! The fleeting Sand Lily (Leucocrinum montanum), one of the first flowers of the season. Backyard crab-apple getting ready to burst forth! For those of you that may not know, magnolias are one of my all-time favorite blossoms. While none of them grow in Central Oregon, they are abundant just on the other side of the Cascades in Portland, where I’ve been spending a fair amount of time. I managed to grasp just a few images in my travels of the magnificent flowers. Thanks for visiting and happy Wednesday to you! In a society hell-bent on making everything convenient, it’s easy to forget how convenient it actually is to simplify. That’s the beauty of sustainability: simplification. It may look like more work but in reality, there are usually fewer future detriments to deal with. We’ve already talked about composting and harvesting rainwater, so here a few more tips to make your garden/backyard/etc a happier, healthier place to be.